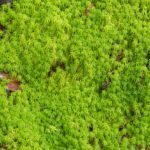 What Is Sphagnum Peat Moss, Perlite, and Vermiculite? I want to know exactly what is sphagnum peat moss, Perlite, and Vermiculite? I want to know about these in detail, and how or where I can get them to make my own soilless mix for indoor plants. Oh, and all are available at your local plant nursery or hardware store that sells plants. Peat moss is a substance that is made from either sphagnum, which is a kind of hanging moss, or peat which is a buildup of decayed swamp matter that is mined and then sold. Perlite is a type of exploded volcanic glass that holds water and air well. Vermiculite is similar to perlite and is an exploded stone.